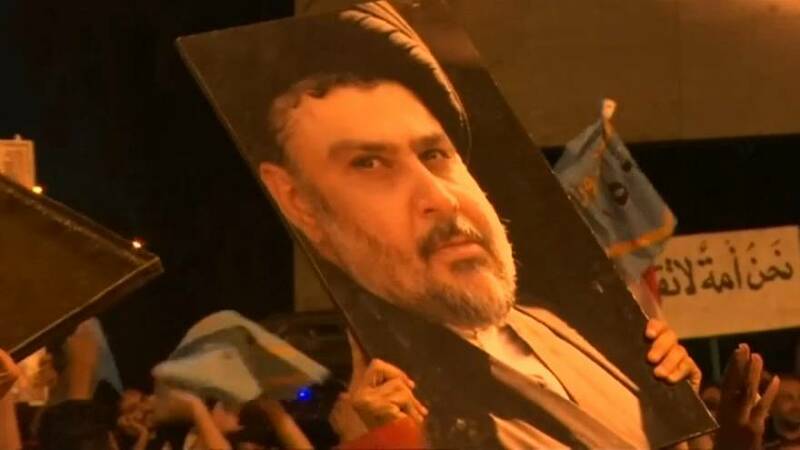 Supporters of Moqtada al-Sadr have been celebrating in Iraq after partial results showed the powerful nationalist leading in the country's parliamentary election. Shi'ite militia leader Hadi al-Amiri's bloc, which is backed by Tehran, is in second place. Prime Minister Haider al-Abadi appears to be running third. Security and commission sources had earlier said he was leading the election. Whoever wins the most seats still must negotiate a coalition government, which must be formed within 90 days of the results being formally announced.